Solar Dust is my version of a custom car paint job on a pen. It typically starts with a base black ebonite pen. I'll apply a black base coat, then I spray various sized metal flake, followed by thin coats of Chameleon paint, and lastly sealed with automotive clear coat. The depth and colors are mesmerizing! 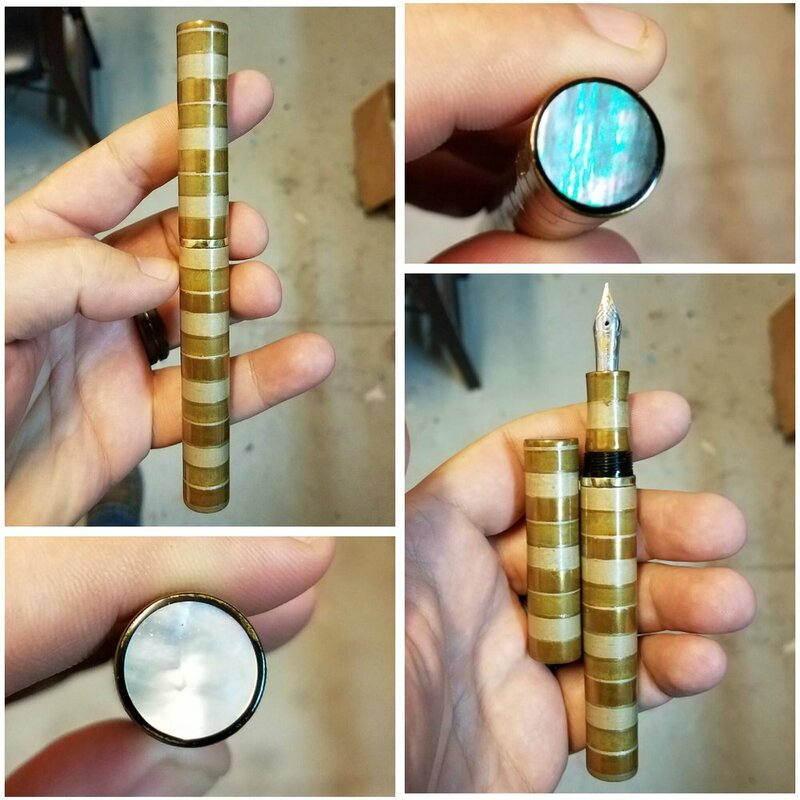 Depending on how you're viewing the pen the colors will range from Red to Green to Gold. Pictures just don't do this justice. 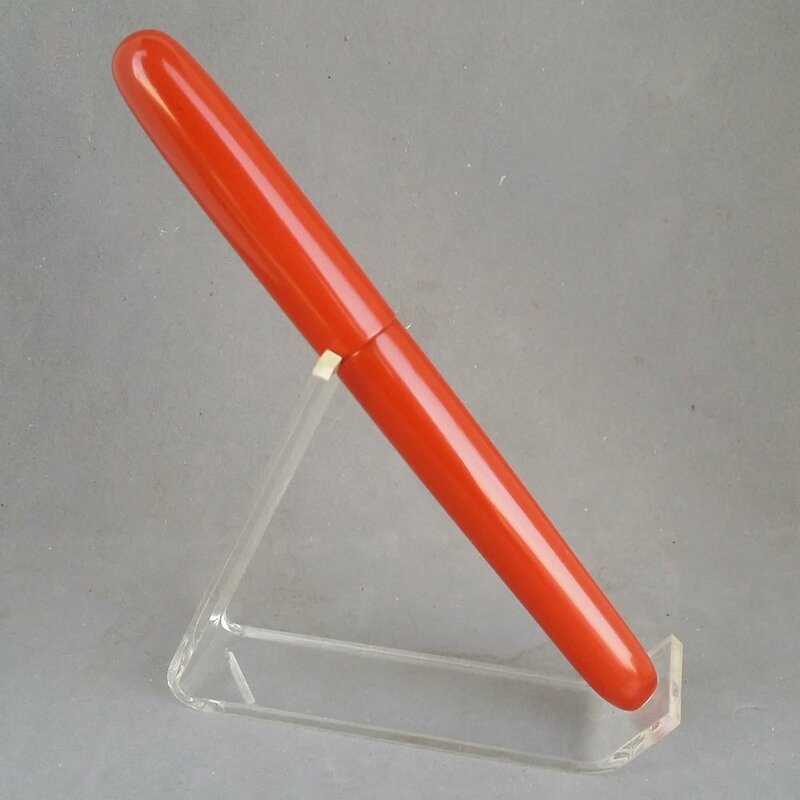 I can also perform this finish over any other material used to create your pen as well. Darker colors show best, but together we can create a design unique for you! Any of my custom models can be done in this finish. It's best to not have a clip for a seamless look, but it is possible to do with a clip. This finish is a lengthy process with all of the curing needs so please allow 3-4 weeks in addition to the build of your pen. 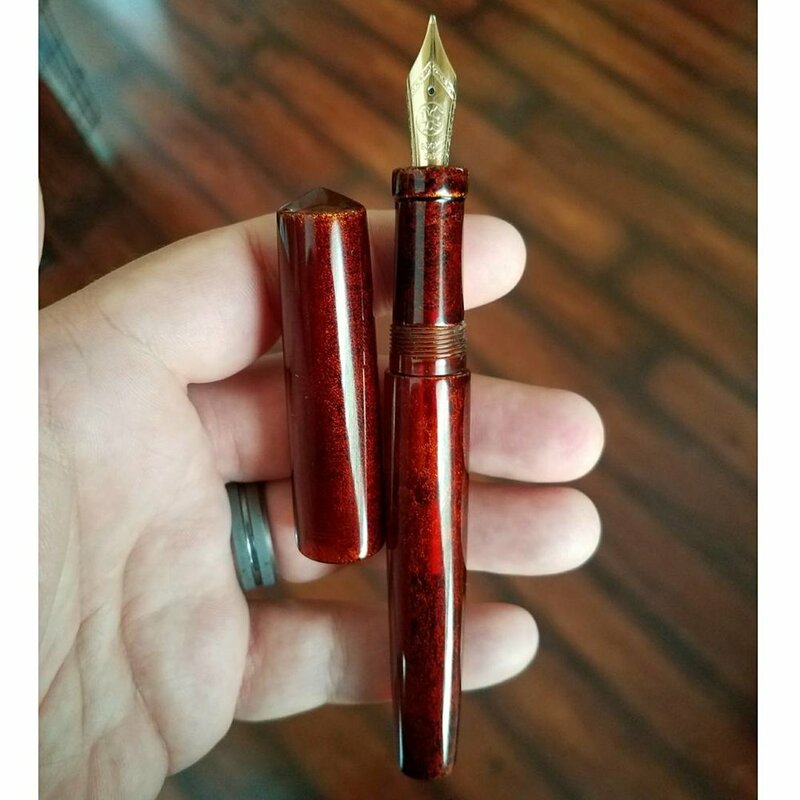 The cost to have this finish on your custom pen is an additional $150. This finish is not available on grip sections. My Graffiti finish is just that. 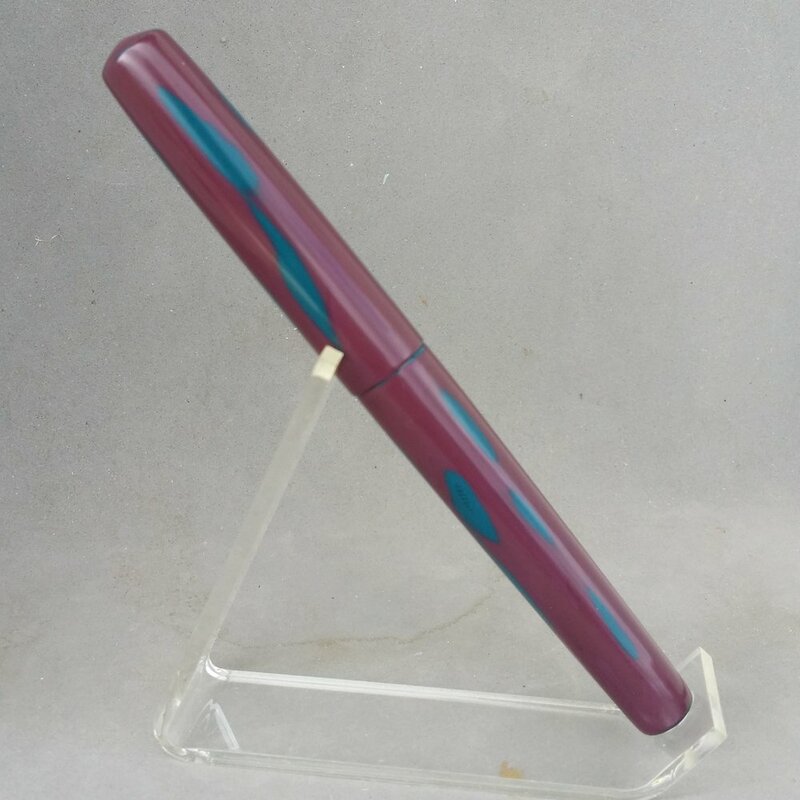 A graffiti style paint job on top of a pen body. Typically consisting of 4 colors that are airbrushed in a controlled chaos pattern. The color palette is entirely up to you! This type of finish does take a little extra time so please allow approx 3-4 weeks to the build time of your pen. To seal the paint job I use an automotive clear coat. The finish can be left matte or polished to a high gloss. This style is available with or without a clip although I highly recommend without. 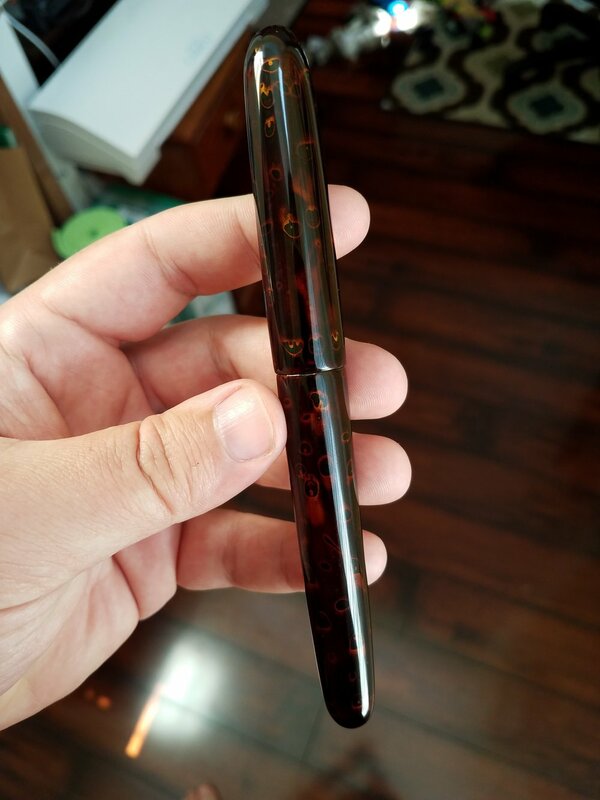 The cost to have this finish done to your custom pen is an additional $150. This finish is no longer available on grip sections. Urushi lacquer is made from the sap of the urushi tree (Rhus vernicifera). It is harvested and refined into the lacquer used to enhance the beauty of many objects. In my case, fountain pens. Urushi is a very difficult medium to use and can be applied in many different ways. Many of the styles and techniques I use can be seen in more detail on my URUSHI page.